EMMC setup under the Ministry of Information & Broadcasting reported thousands of violations of various media laws by TV channels. As per the latest information provided by the government, action was taken in just 88 such cases. The Ministry of Information & Broadcasting (MIB) has reportedly ordered NDTV India to go off air for a day in breach of program code. But it is one of the rare instances where action has been taken by the MIB. Factly had earlier reported that thousands of violations of Media laws by Television Channels were reported by the Electronic Media Monitoring Centre. It is now revealed that the Ministry of Information & Broadcasting has taken action in only a handful of cases since 2013 (88 to be precise). The EMMC reported hundreds of violations in various categories including violation of the Cineatograph act, the advertisement code and the program code for private TV channels. EMMC reported hundreds of violations for each month in 2014-15 with respect to screening of films, for example, non-display of Censor certificate before screening of films, non-indication of Censor rating as part of film promos which are otherwise cognizable and non-bailable offences under section 7(1) of the Cinematograph Act, 1952. A total of 8467 violations were reported in this category for the year 2014-15. Highest number of violations was in June 2014 and the lowest in December 2014. 2965 instances of surrogate advisements of liquor/tobacco products were reported in the same period. 1245 instances of misleading advertisements were reported, i.e., superstitious and deceptive ads of kavachas, yantras, medicines, creams etc. claiming to posses miraculous powers which are otherwise serious offences under Drugs and Magic Remedies (Objectionable Advertisements) Act, 1955. Electronic Media Monitoring Centre (EMMC) was established in 2008 as a sub-ordinate office under Ministry of Information & Broadcasting with the exclusive task of monitoring content of private satellite TV channels for violations of Programme Code and Advertising Code. At present, EMMC records and monitors around 600 TV channels. EMMC monitors and carries out a scrutiny of violations by electronic media in accordance with Codes framed under the Cable Television Networks Regulation Act, 1995. EMMC puts out reports on violations along with the recorded clips to the Scrutiny Committee, which examines and goes into the purported violations and forwards its findings to the Inter-Ministerial Committee and other bodies for further action. Out of the thousands of violations reported by the EMMC, the government has taken action only in a handful (88 to be precise) since 2013. This information was shared by the Minister of State for Information & Broadcasting in the Rajya Sabha. 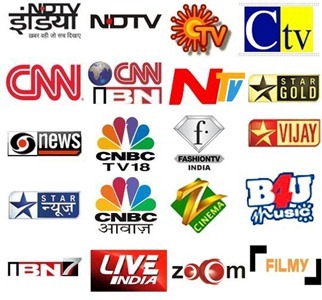 The action against NDTV India was taken in the light of an advisory issued by the MIB in July 2015 that talks about coverage of anti-terrorist operations by security forces. The details of action taken against the content telecast on private satellite TV channels in violation of the Programme and Advertising Codes since 2013 is given below.